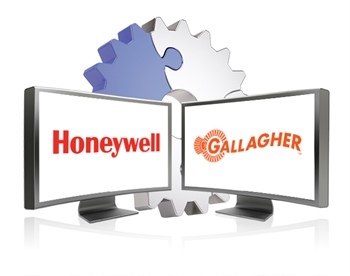 The IndigoVision Gallagher and Honeywell Galaxy Access Control Integration Modules have just got smarter, with both modules now supporting software licenses and Windows 10 operating system. The support of the software licenses now means that you do not have to wait for the hardware shipment when ordering and that you are able to run the each integration on a virtual machine if needed. The latest Gallagher Command Centre v7.60. Automatic and continuous updates to the detector state between Control Center and Gallagher Command Centre. Cameras compatible with Control Center v13.2. Audio to compliment the video integration. A new unified installer simplifying the installation process. Both the Gallagher and Honeywell Galaxy Access Control Integration Modules are well known for allowing alarms and events from any other system to be seamlessly combined with IndigoVision’s video security solution, giving complete video and alarm management in a single user interface. IndigoVision’s Integration Modules provide you with the flexibility and choice needed to create your customized, reliable and future-proof security management solution. previous post: Support for IndigoVision’s Faster, Bigger, Better NVRs has just got even better!